Gold’s meltdown is not over. Expectations that the U.S. Federal Reserve will scale back stimulus have pushed the precious metal’s price down to just under $1,250 per ounce – 35 percent below its 2011 peak. When the Fed actually starts tapering its bond purchases, investors will keep fleeing. That will leave the price of bullion relying heavily on demand from the jewellery trade. 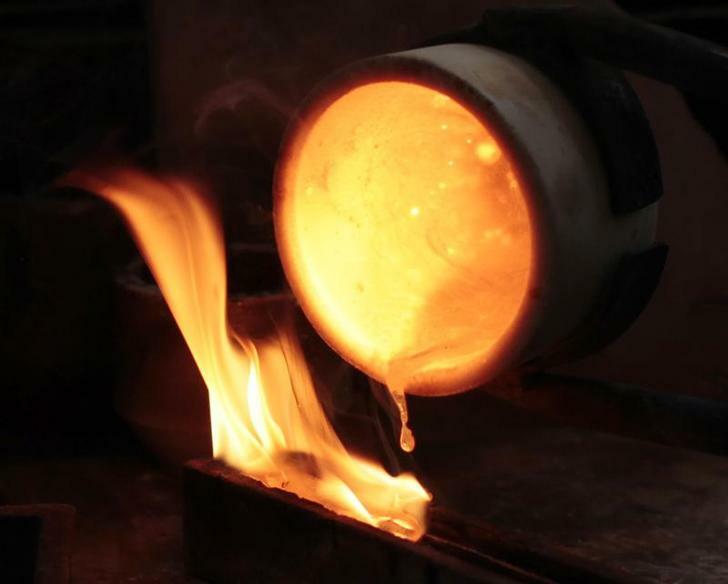 Investor demand for gold plunged 56 percent year-on-year in the third quarter, according to the World Gold Council. Net outflows from gold exchange-traded funds amounted to $5.1 billion, after $18.3 billion were withdrawn in the second quarter. The slower pace of redemptions is not that hopeful – SPDR Gold, the biggest ETF, still held 41 percent more tonnage at the end of the third quarter than in mid-2008. The opportunity cost of holding bullion will continue to rise as yields on safe-haven bonds climb in response to Fed tapering. That will sustain the investor exodus. But what of other sources of support for the gold price? Technology demand is stable, at about 400 tonnes per year. But central banks are uncertain allies. They shifted from substantial sellers to buyers of an average of 500 tonnes of gold per year in 2011-12 – double what ETFs bought in the same period. In the first nine months of 2013, central bank demand was down by a quarter year-on-year. Russia, previously a buyer, sold a small amount in September. Again, Fed taper talk is the leading culprit, triggering capital outflows from emerging markets. When these economies were awash with cash, gold was a useful store of value. In 2014, their central banks may even be forced to sell to prop up their currencies. Jewellery demand has been weakened by high gold prices since 2009, averaging just 1,927 tonnes per year, down 22 percent on 2003-8. This year there is a slight pickup, driven by China. This can be seen like a promising Eastern horizon. But for now, overall demand this year is likely to be its lowest since 2009, when the gold price first rose through $1,000 per ounce. It could breach that level again, in the other direction. Gold fell by 2.5 percent, its biggest one-day drop since Oct. 1, to a four-month low of $1,246 an ounce on Nov. 21 after minutes of the U.S. Federal Reserve’s October meeting showed that American policymakers could start scaling back monetary stimulus at one of their next few meetings. Hedge fund Paulson & Co maintained its stake in SPDR Gold Trust, the world’s biggest gold-backed exchange-traded fund, in the third quarter after slashing its stake by more than half in the second quarter. SPDR Gold Trust held 906 tonnes of gold at the end of the third quarter, versus 968.3 tonnes in the second quarter.